Are you planning your Nights Out in York for yourself or a group of friends? York Minibus will help you enjoy your outings to the full by taking care of all the transportation aspects of your planning. Don’t let unexpected setbacks spoil your big night out as a group. Book a minibus and take all the fuss out of pub crawls. From Kuda to The Black Swan, from Flares to the Vudu Lounge, and from Fibbers to Yates, we’ve got your pub crawl sorted. Forget to scramble to find taxis and cabs late at night, frantic searches for mates left behind or trying to track down lost valuables. 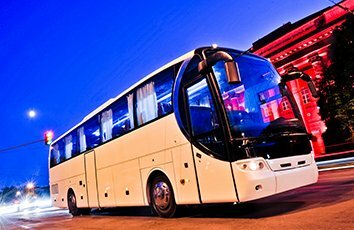 Simply book the Nights Out Minibus York service to get the entire group from A to B at the same time, promptly, safely and comfortably. When you’re ready to have a bite to eat, head back to the minibus, and travel with the entire group to one of the many late-night restaurants of your choice in York. Whether you’re aching for some British fish and chips at Thompsons, some Mediterranean morsels at Little Italy, some sumptuous Eastern European dishes at Barbakan, or Asian titbits at the Yak and Yeti Ghurka, there’s no better way to ease everyone’s appetite than a dash in the minibus. Have your fill of pub grub, and then head back to the club within minutes thanks to the Nights Out Minibus York service. No need to refrain from drinking and enjoying yourself to the full on a night out. Rely on one of your experienced chauffeurs to take over the responsibilities of the designated driver. Enjoy your night out with friends to the full, and let a vetted and trusted chauffeur, who has experience taking large parties to and fro, drive you around York in complete comfort and safety. Revel in the attention on your nights of fun as we take over the duties of the designated driver! With so much to see in York, finding a coach that matches all your transport needs is the most reasonable way to move around and see it all! If you’ve set aside a day to visit all the most interesting places or attend a special event in York, then look no further than York Minibus.